There's something about fishing in the dark for steelhead. The eerie feeling that something or someone is watching you. Hearing the rustling of some unknown creature in the surrounding woods. The hairs on your neck stand up. You stand alone in the dark and you don't see anything. All you hear is the sound of moving water. Fishing in the dark isn't for everyone. It takes a special type of angler that loves the challenge of fishing during the night. The biggest appeal of night fishing is you won't have to worry about other anglers. When the crowds leave and the river becomes a quiet place. 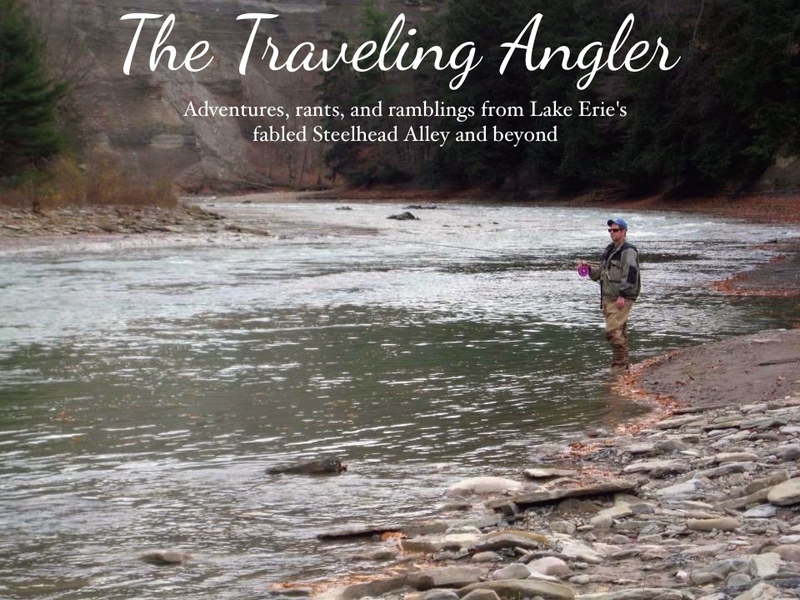 Once the sun set and the darkness encroaches, steelhead will become active. I've done it a couple times on the Rocky and I'll go an hour after the sun set in the fall or spring. I've learned from one guy, who we call the night stalker as he does a lot of fishing in the dark, even in the winter time. Over the years, he's honed his craft and enjoys his time out when most of us are getting ready to hit the sack. When comes to night fishing, you need some form of light. A head lamp isn't strong enough. Most night anglers use a small glow stick or LED light stick. I find the glow sticks are too thick and make the float tip over. I prefer the LED lights as they're more thin, brighter and last longer. I use a Raven FM 6 gram for night fishing as the FM model as a wider float on the top. This helps balances it more then say a thinner profile float. I'll take a Drennan float cap for the light as Drennan caps are wider. They came accomodate the light stick as Raven tubing are just too narrow. The hardest part of night fishing for steelhead is detecting the hit. When the water is clear, the light is strong enough that it can be seen underwater. If the take is light, you might think you've bottomed out and not set the hook. But most of the time, when the water is warmer, the hits will be fast and violent. What I've learned is watching the light for any odd movements and setting the hook regardless. Most of the time when I'm night fishing I'll be using sacs. But another effective presentation are Berkley's power bait atomic glow tube jigs. The jigs are prerigged and come in packs of 3. I like the use the 1/16 ozs jigs. You can use a headlamp and shine it on the jig. Within a few seconds the jig starts to glow. This is very effective in the spring when shiners will come up the lower section of the rivers. There's times when I've caught a lot fish using them. But before you head out make sure that you're allowed to do it. The Rocky River metroparks closes at 11:00 PM so if you're out on the river, don't be surprised that you a visit from the park ranger asking you to reel in and have a nice night. Other communities might have hours where you're not allowed to fish during late evening hours. However, I really don't know anybody that pulls an all nighter when it comes to fishing at night. I'll usually fish for a couple hours once the sun sets and that's about it. Night fishing can be thrilling and a challenge. So instead of sitting on the couch flicking through channels on what to watch, head down to the river. Nice report and photos Greg. Glad you are managing in this mediocre start to the season. This false promise of precipitation is getting old isn't it? Bring on the good old fashioned downpour and let's get this season a rollin. I hope to spend a few days over your way when the cold cold weather brings in the Manistee's. Until then It will be Lake Huron and Michigan for me. Pink reel, purple reel, everybody calls me the homo pinner. We're suppose to get rain this weekend and the temps are to be in the low 40s next week. Rivers need a good flushing. Desperate times call for drastic measures.. Even the confirmed sightings of Bear and Puma don't the turdballs off the river in our neck of the woods.